Are your children studying weather patterns this year? Tracking the weather each day is a great activity for any age! 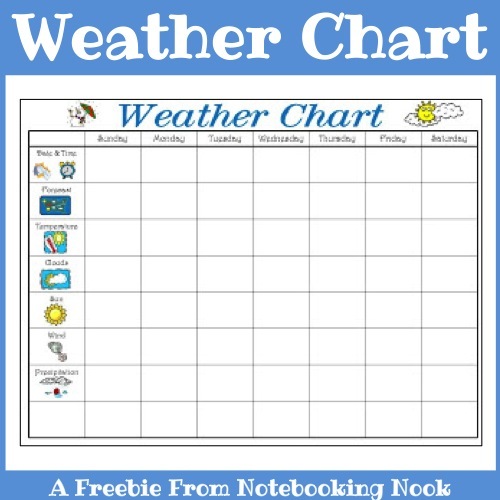 Download this free printable Weather Chart from Notebooking Nook and add it to your weather unit study. Included are places to record the date/time and type of weather for 7 continuous days.